I have a new layout up on the Chic Tags blog today using some of my favorite pieces from the exclusive new Fall collection! 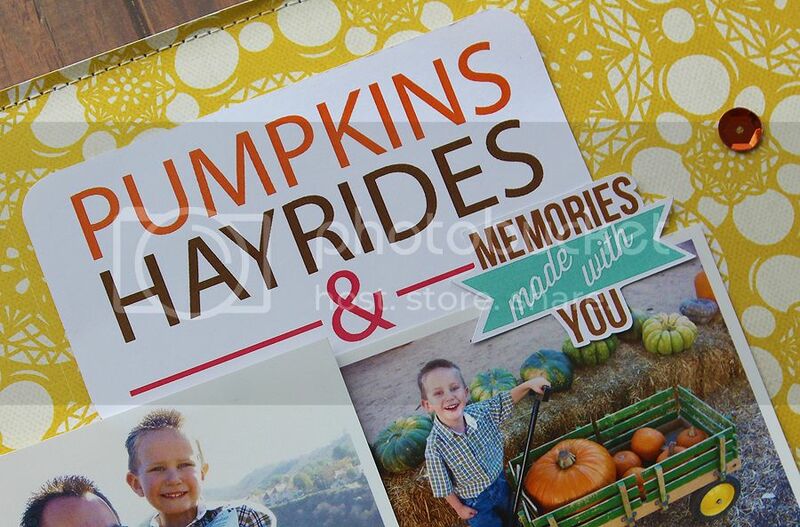 I used the cute pumpkins hayrides & friends 3x4 card, and as you can see, I added it behind my photos so the word friends was covered. Since this was a picture of my hubby and son I decided to "hide" the word friends, and then layered on the memories made with you die cut. 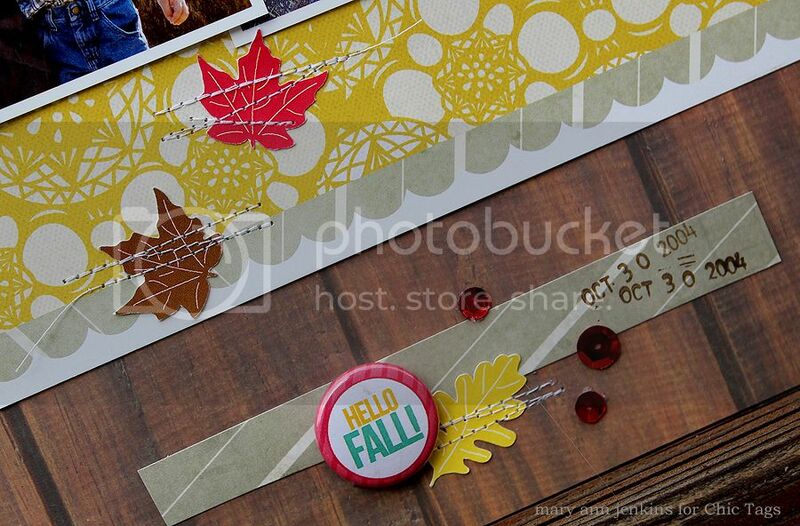 Below the photos I sprinkled on a few of the leaf die cuts, did some quick machine stitching right on top of them, then added the cute Hello Fall flair button. And yes, the year 2004 on the date stamp is right. Somehow I never did scrap these photos way back then. Now to get Fall photos from 2014 scrapped! 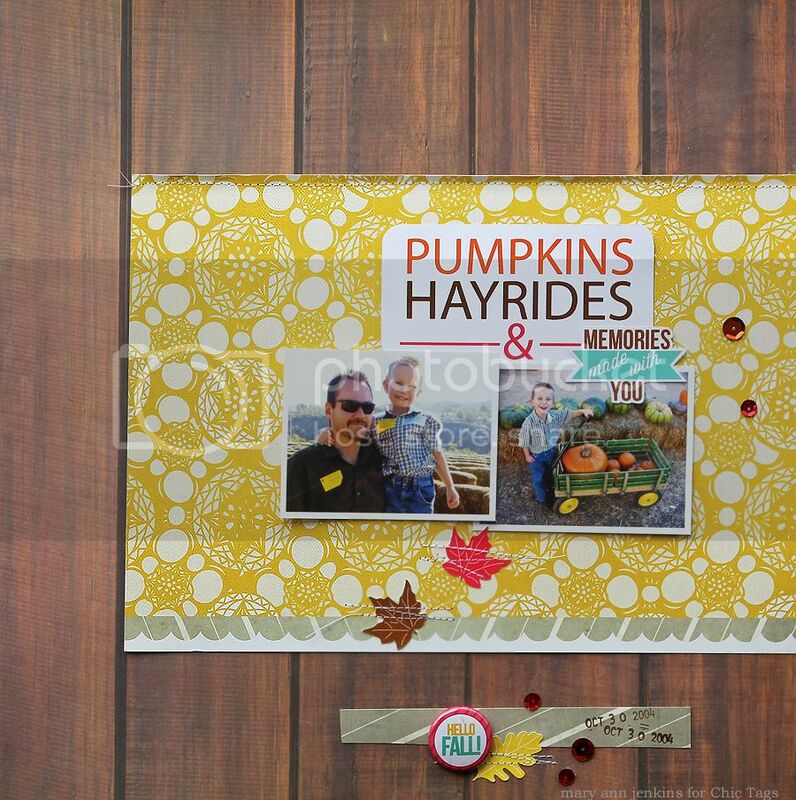 Love the wood grain background paper and the a Yellow paper layered over it Mary Ann!! Great page! !